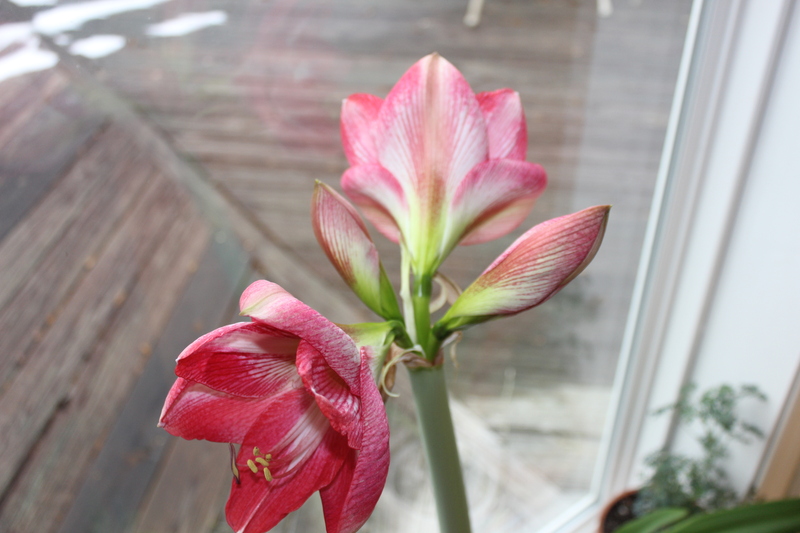 Watching an amaryllis bloom is like a lesson in life. 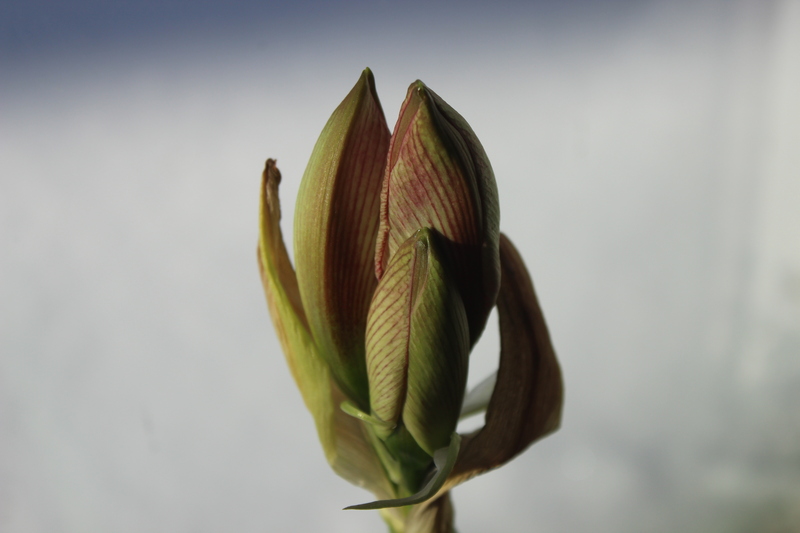 The first day, it emerges from the sheath, which falls away like a plant placenta. 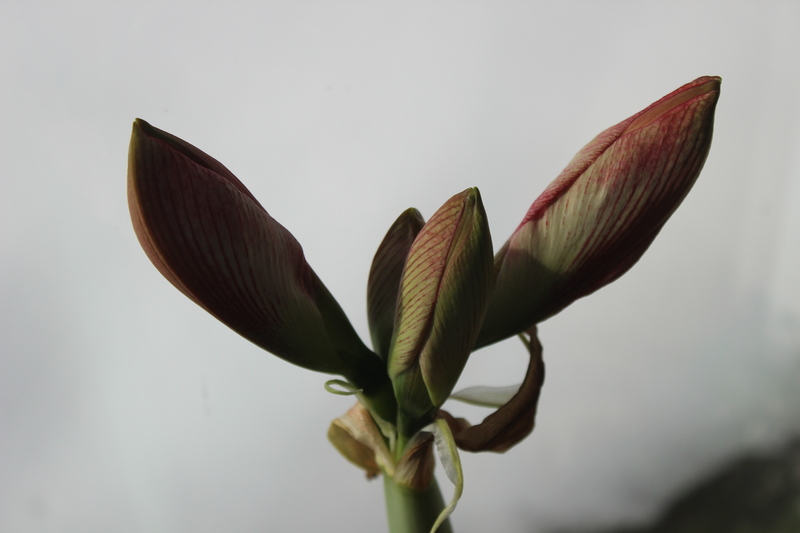 The second day, it opens up to reveal that there are two sets of twin flowers. The larger two will open first. They are opposite each other on the stalk, for balance. Color begins to blush through the petals as they stretch away from each other. They are making room for their dazzling, dancing dresses. The third day, the ruffled and wrinkled big sister buds smooth out their frocks. On the fourth day, the little sisters begin to grin and show their purple stamen teeth and pistil tongue. 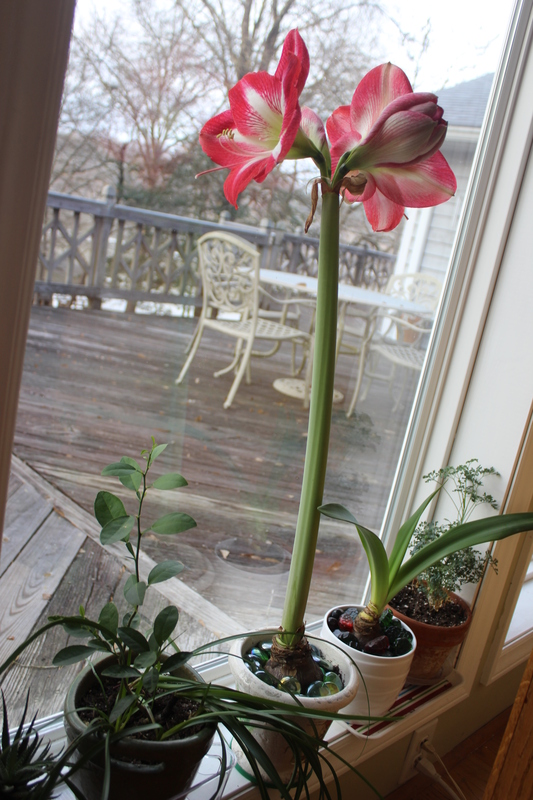 While the two big sisters fling back their petals to expose their shiny, bright faces. Then they flush with a final burst of color. Like getting prepped for the party of life. Standing up straight and facing the new day with a fresh face. P.S. This is my Monte Carlo blooming for the second time since Christmas. 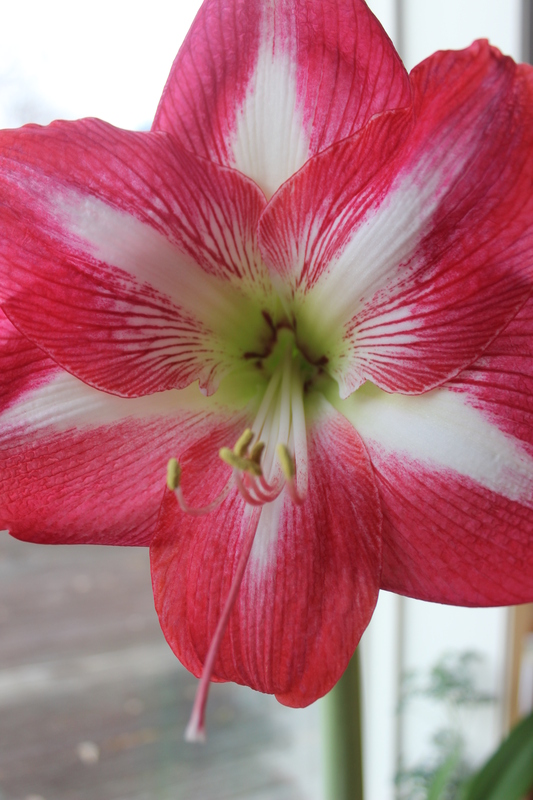 Bonsoir chère Floweralley, merci de votre billet décrivant toutes les étapes de votre magnifique amaryllis. Vous l’avez bien soigné. C’est superbe. Thank you Denise. 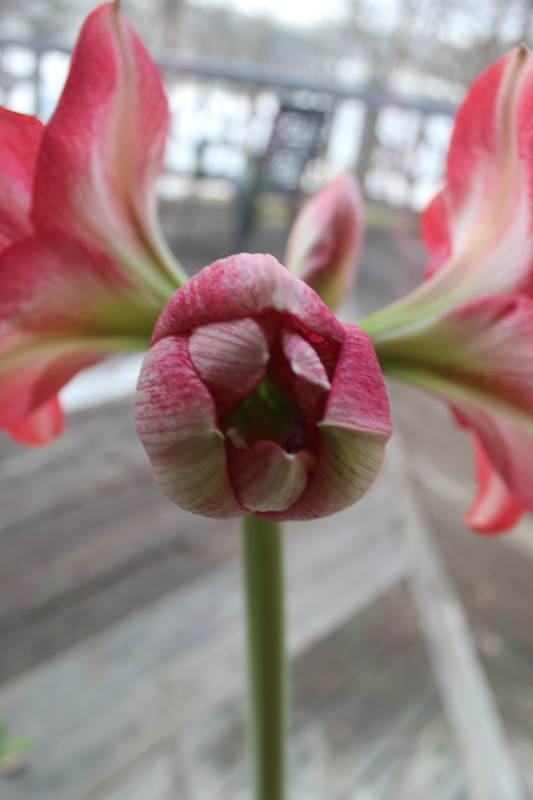 You will see many more Amaryllis flowers in June. My garden has many different kinds.